Tennessee has not produced the large amounts of gold compared to several other states in the southeast such as Georgia, Virginia, or South Carolina. Most of Tennessee’s gold is located in a fairly localized area, but these gold bearing locations are quite rich and have been a popular destination for gold seekers for a long time. 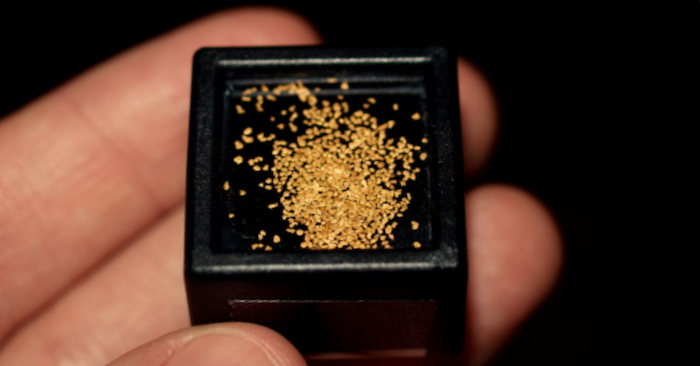 Nearly all of the gold that comes out of Tennessee is found in the extreme eastern portion of the state. The richest placers have been found along the border of North Carolina in a few distinct rivers and streams. 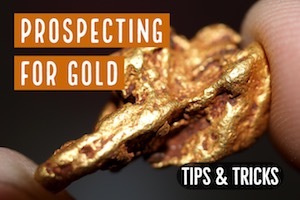 Let’s take a look at the best places to do some gold prospecting in Tennessee. 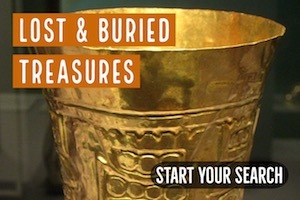 Access is limited in some places, but there are a few good locations that are still reliable places to find some gold. And many of these areas are being overlooked by other prospectors. In Monroe County, both lode and placer gold were mostly found around the areas of the rural communities of Coker Creek and the Tellico Plains, located in the foothills of the Appalachian Mountains in southeastern Tennessee. The most well-known and most productive placer mining area in Tennessee is at Coker Creek. 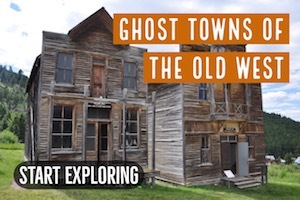 It mostly flows through private lands, as well as the Cherokee National Forest in certain areas. There is an area called Doc Rogers Field that provides access to about 2/3 of a mile along some of the most productive parts of Coker Creek. This area is popular and gets hit pretty hard, but there is still gold to find here. It is located near the town of Coker Creek, just west of the North Carolina border. Tellico River has good gold in it also. In fact, there may be more gold here than in Coker Creek, but it is a big river and not as easy to prospect due to its size. I have heard stories of dredgers who have had some very rich days working the gravels of the river, but the distribution of gold is definitely spotty. 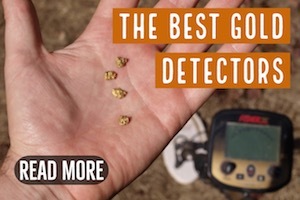 You will need to do a lot of sampling to locate a rich gold-bearing area. Most people that try panning along the rivers edge don’t have much luck. In several areas, gold can be located in the bedrock and stream gravels along the waterways of Cane Creek, Citico Creek, Coqua Creek, Tobe Creek and Turkey Creek. These places aren’t as well-known as Coker Creek, but they also might be worth spending some time there. If you are willing to hike and get away from the crowds you might just be rewarded with more gold. (The same can be said for Coker Creek in Polk County). 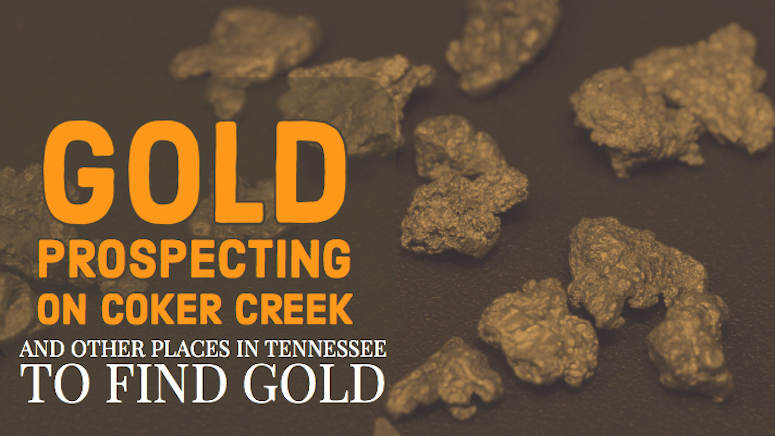 Coker Creek is probably the best known area to find gold in Tennessee. 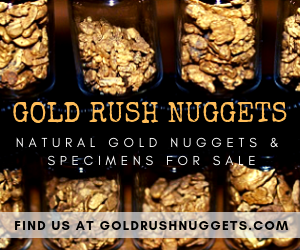 The present stream gravels along Coker Creek, together with its bench and high terrace deposits still hold rich placer gold, and occasionally a nice sized nugget can still be found here. The majority of gold found here is by placer mining, although the gold is likely sources from eroding gold veins nearby. No major source veins have been located and mined. It is possible that they have completely eroded away by now, but I suspect that there are a few golden veins out there somewhere that a prospector might be able to find if they invested some time. There is a GPAA claim on Coker Creek and it is one of the better claims in the eastern side of the country. It might be worth becoming a member so you can access their claim. The drainages that flow from Waucheesi Mountain and the Unicoi Mountains along the North Carolina border that have good potential for placer gold. From the town of Coker Creek to the east, just about any creek is worth a bit of prospecting as there is a decent chance of finding gold here. 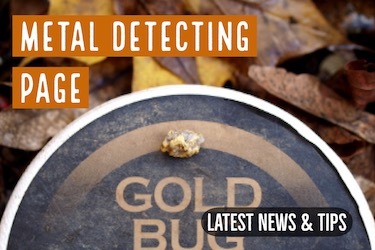 Placer gold has also been found around Marysville in Blount County, specifically near Montale Springs. East of the Chilhowie Mountains is another general area that reportedly has placer gold occurrences. Gold can be found in the Tennessee River around Chilhowee Lake, and to the east at Little Pigeon River. 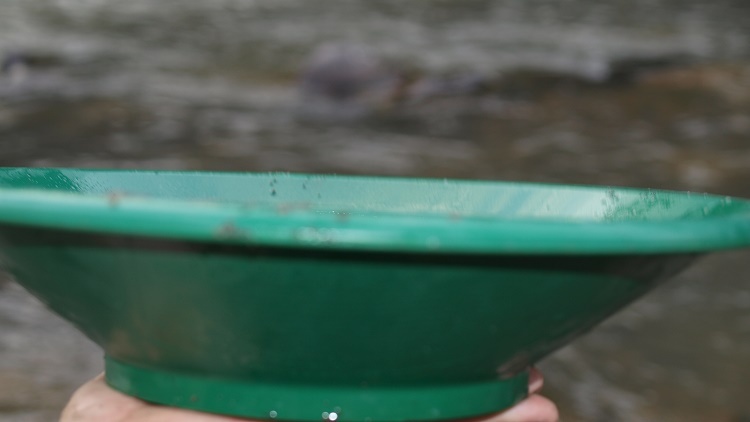 Gold can be panned from the Little River near Townsend. Most of the gold here is quite fine, but there are some picker sized gold that can be found here.